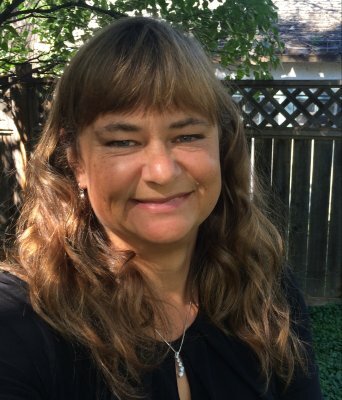 Dr. Nicola Koper is a Professor of Conservation Biology at the Natural Resources Institute, University of Manitoba. 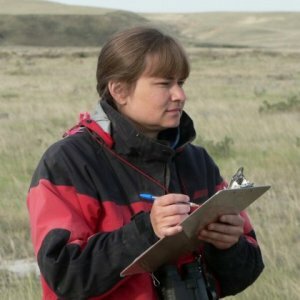 Her broad background is in landscape ecology, applied ornithology, prairie and wetland ecology, and ecological statistics. Her research has involved a variety of vertebrates, with a particular focus on songbirds. Dr. Koper has also been heavily involved in applying her knowledge to contribute to academia, conservation and management. She is an Associate Editor of Condor – Ornithological Applications, and also for Wildlife Society Bulletin. She is a member of the Board of Directors and also the Scientific Advisory Committee for Nature Conservancy Canada – Manitoba, and has been an invited scientific expert who has contributed to numerous provincial, and Canadian and USA federal conservation strategies and recovery plans. Dr. Koper actively collaborates with federal and academic scientists across Canada, the USA and Grenada to achieve conservation goals. She has co-authored more than 50 academic journal publications in the fields of conservation biology and ecology. Her current focus is on conservation and habitat management for songbirds in agroecosystems in Alberta, Canada, and Grenada, West Indies. In Alberta, Dr. Koper is studying effects of oil and gas infrastructure and industrial noise on birds. Sprague’s pipits, Baird’s sparrows, chestnut-collared longspurs, and Savannah sparrows are some of her focal species. She is particularly interested in how to mitigate negative impacts of human activities in prairies. To accomplish this, she is comparing impacts of different types of oil and natural gas wells, and assessing effects of noise from oil wells and compressor stations on birds. In Grenada, her research team is conducting some of the first mist-netting and banding programs ever conducted on the island, to better understand the natural history of its unique bird community. Some of our focal species (and sub-species) include the Grenada house wren and Lesser Antillean tanager. A unique characteristic of Dr. Koper’s approach is to combine landscape-scale field studies with manipulative experiments. For example, her team is currently using experimental playbacks of oil well drilling and operating noises to isolate effects of noise from effects of the oil infrastructure and associated activity and roads. This will allow us to develop precise management recommendations that will help mitigate ecological effects of oil and gas activity.